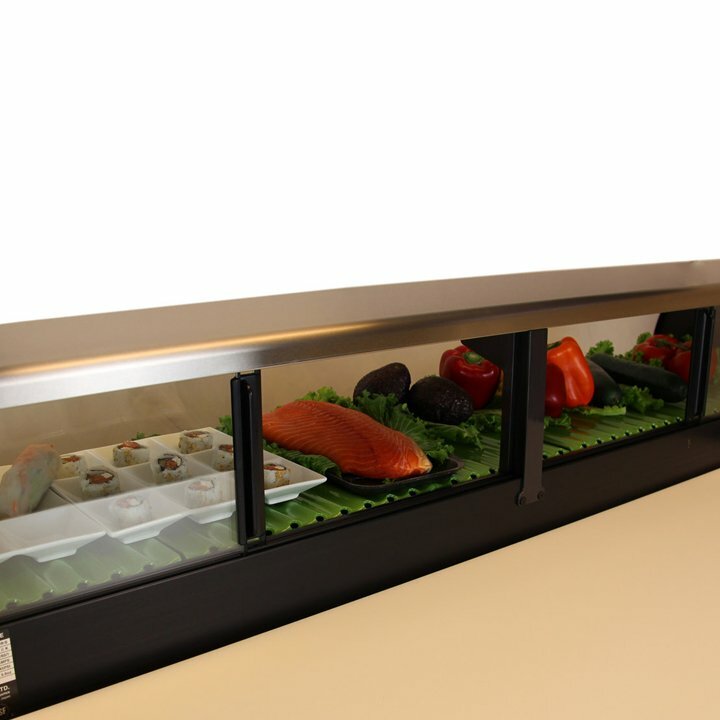 This feature-rich DECO Sushi Buffet Station has everything you need to prep, perfect and serve sushi, and give your guests a premier dining experience. 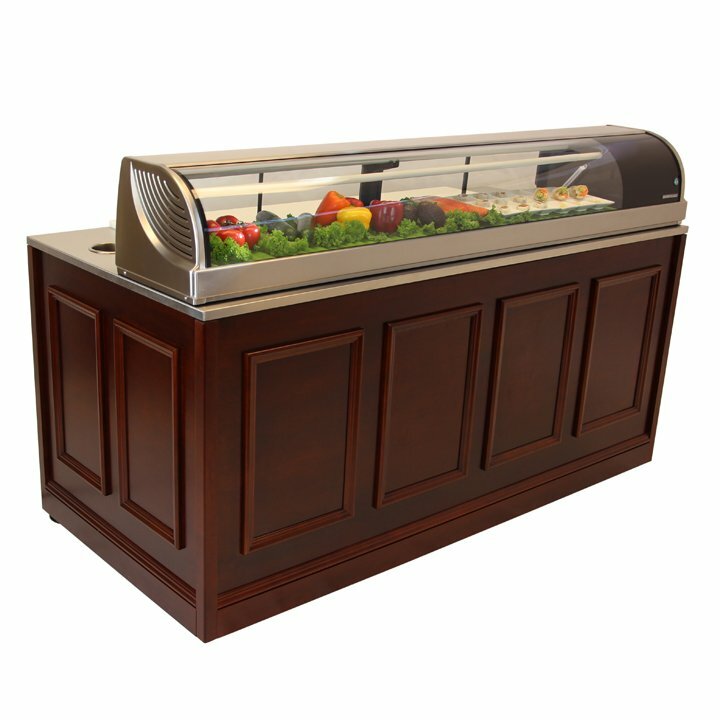 Countertop Hoshizaki Refrigerated Display Case — Stainless-steel, self-contained refrigeration display unit for presenting and preserving food. 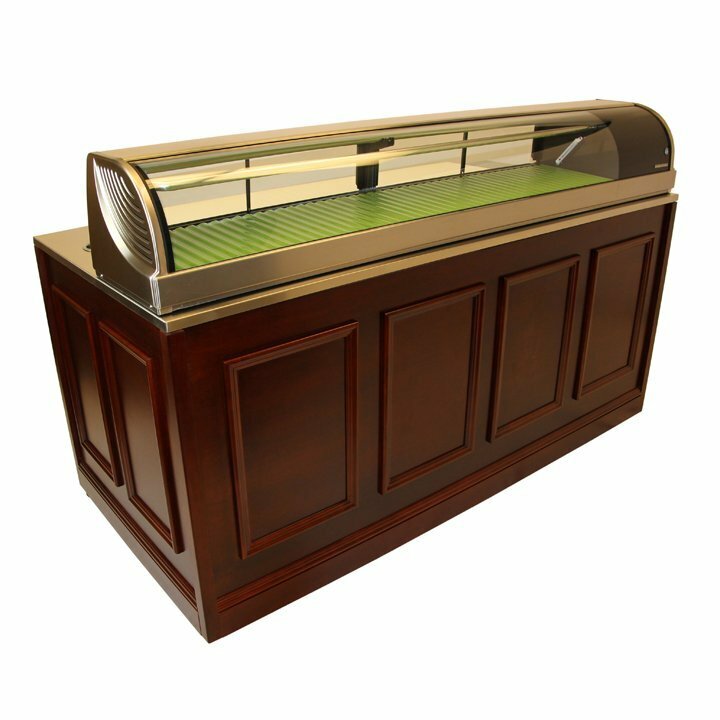 Features plate space on top of unit (5-6 inches), NSF approved thermometer, 11" (28 cm) front-to-back interior display, and sliding doors with plastic seals at ends to lock in cold air. 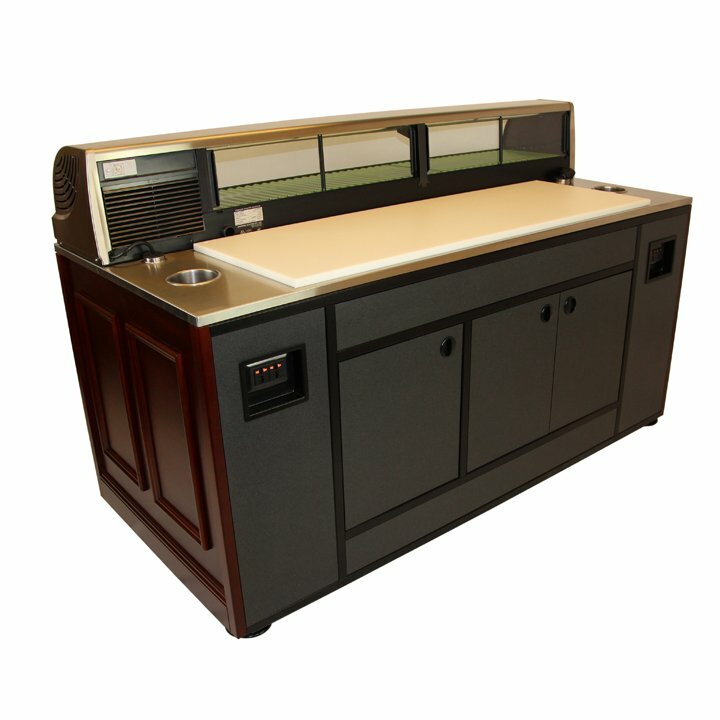 Stainless Steel Counter Top — Made of non-porous stainless steel for easy cleaning and sanitation. NSF certified. Two Duplex Recessed Power Receptacles — 120-volt plug-ins for appliances. Max 15 amp. Two Utensil Holding Trays — Sealed into stainless steel tops with rubber 0-rings to prevent food from entering into the cabinet. 6" (15 cm) Deep x 4" (10 cm) Wide. Plastic Removable Cutting Board — A large spacious work surface measuring 18" (46 cm) W x 52" (132 cm) L, allowing plenty of room for culinary preparation. Condensation Drip Hose — A large 1" (2.5 cm) diameter drain hose that drains water into a removable bucket hidden from view inside the cabinet. 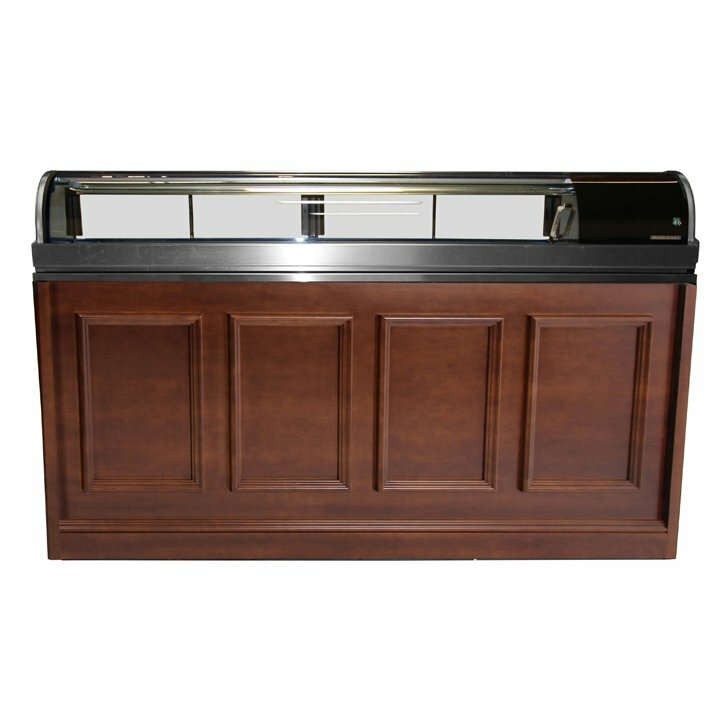 Body Style — Choose from 3 body finish styles and personalization options to customize your unique station: Acrylic panels with LED lights in a variety of colors; laminate panels in 12 standard laminate options; or wood veneer panels — three panel options with your choice of 6 stain colors. Cabinet for Storage — With storage space underneath, hidden from guests' view. Heavy-Duty Steel Frame — Provides a strong and durable foundation for day-in, and day-out use. Mobility — Six heavy-duty 4" (10 cm) diameter non-marring ball-bearing swivel casters allow stations to move with ease. Locks keep units tightly in place.